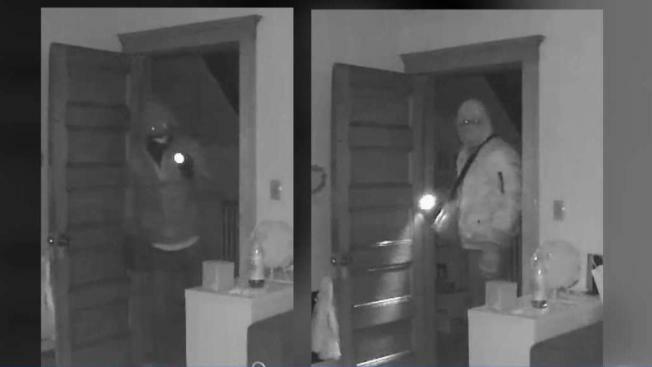 Quincy police are trying to track down at least two burglary suspects after a string of dinnertime break-ins across the city over the past two weeks. 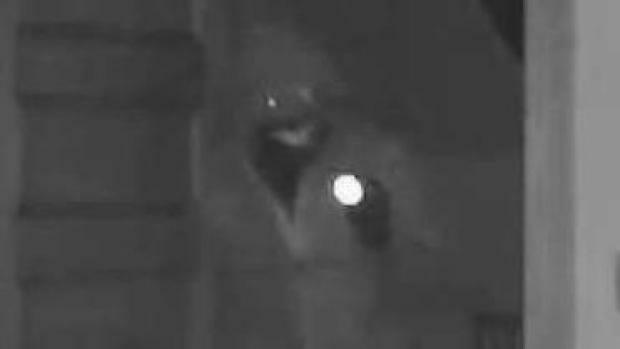 The suspects, who were captured on surveillance video wearing masks, first struck on Nov. 21, forcing their way into a home through a back door before stealing jewelry and cash. Since Monday, when the burglaries resumed after a brief hiatus, there have been four additional break-ins. Police said residents should report any suspicious activity. A string of break-ins that have taken place over the last several weeks in Quincy are under investigation. The suspects hit the following streets: Puritan Drive, North Central Avenue, Adams, Tyler, Everett and Belmont Streets. In one instance, a homeowner walked in on the suspects, who then ran out the door. Police said the suspects usually strike between 4 and 9 p.m.
Police said there may be a third suspect. Anyone with information regarding the break-ins is asked to call the Quincy Police Detectives Unit at 617-745-5764.